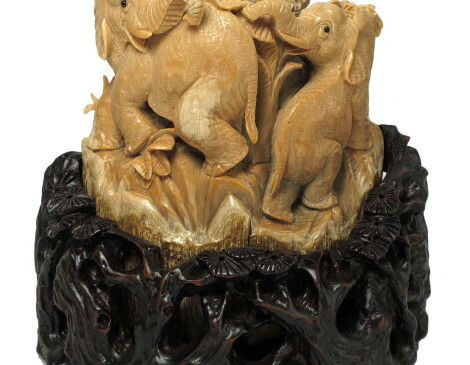 SKU: 33326. 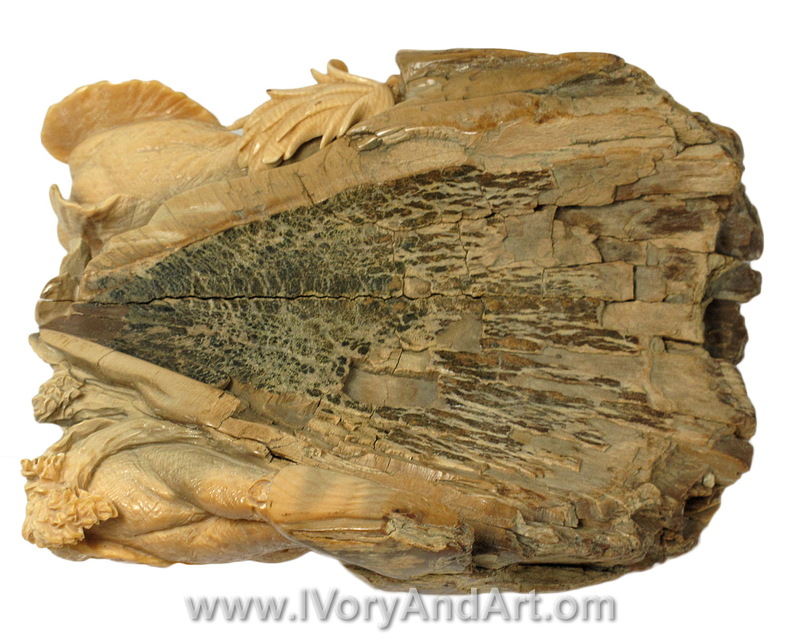 Category: Mammoth Carving Tusk. 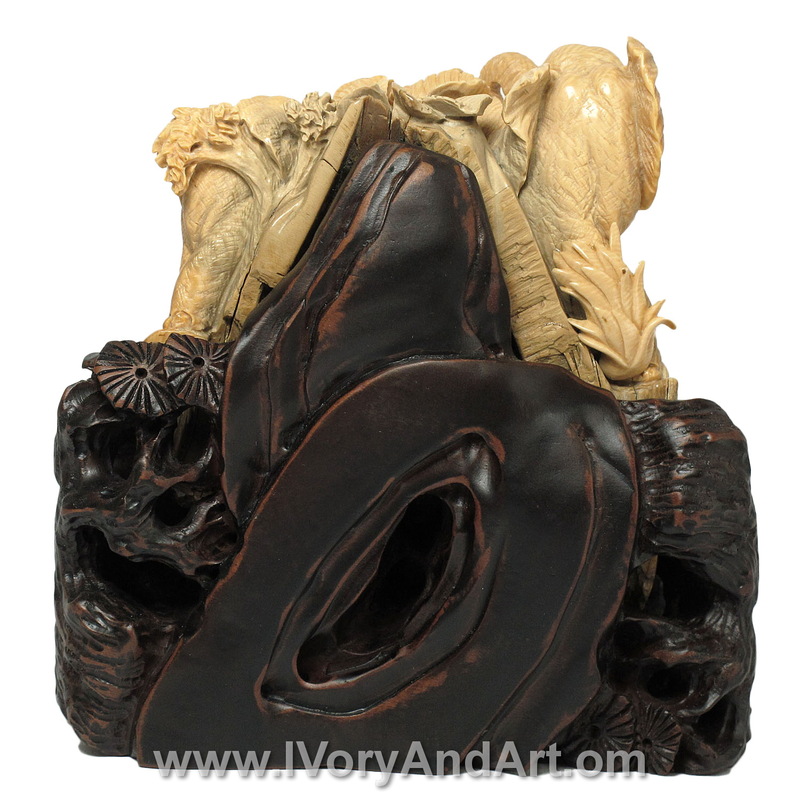 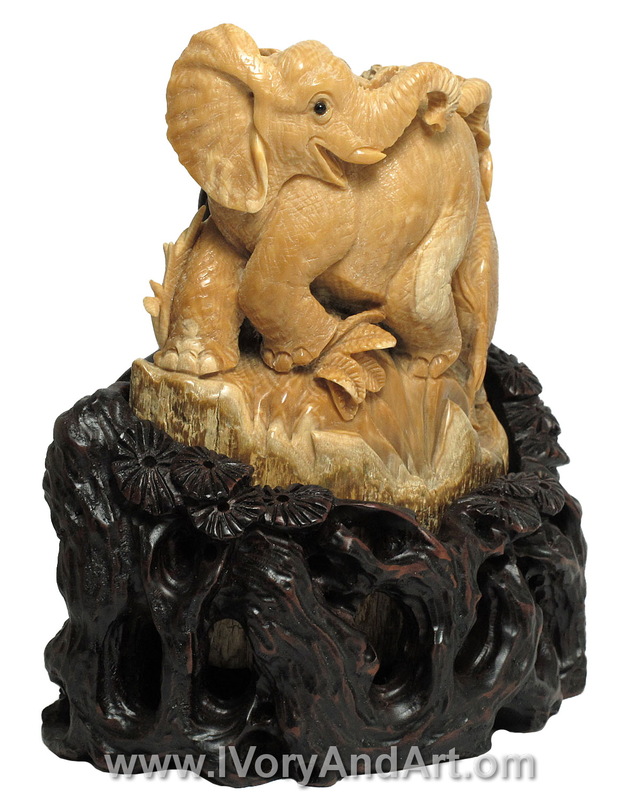 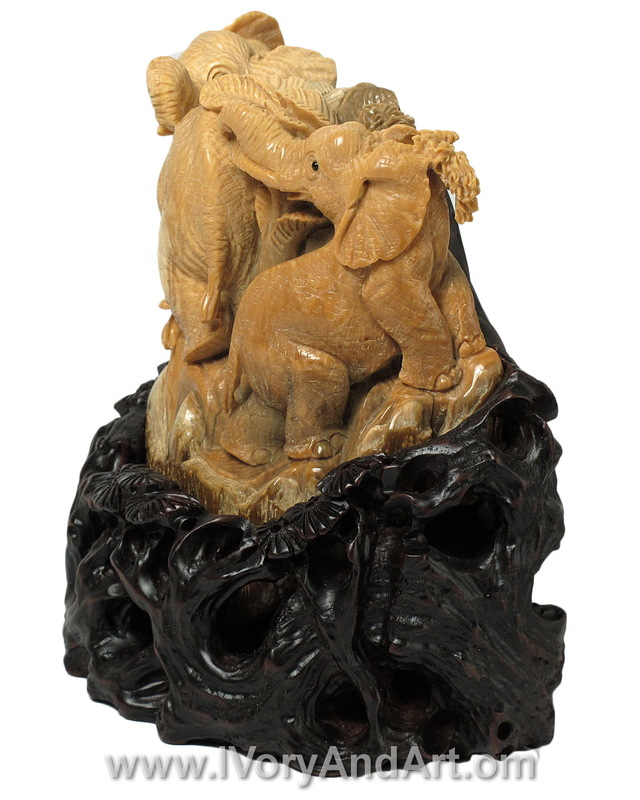 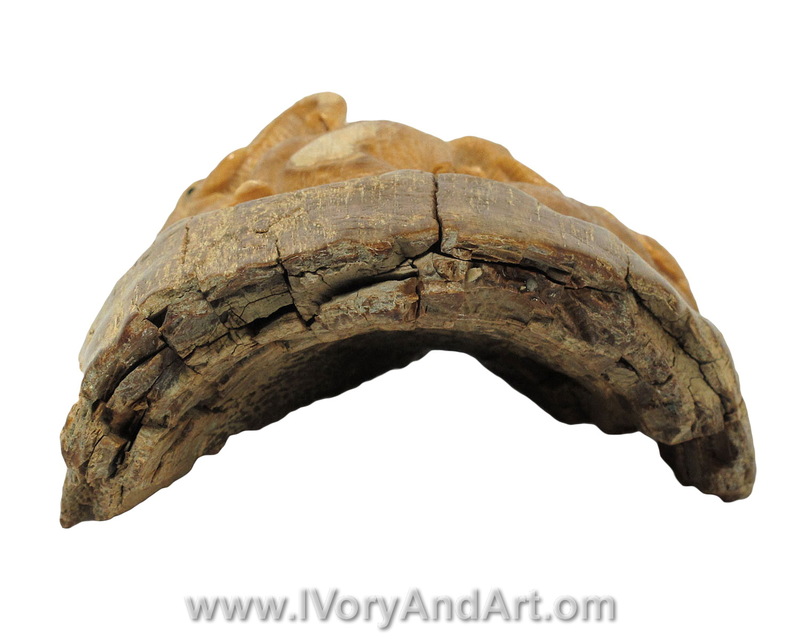 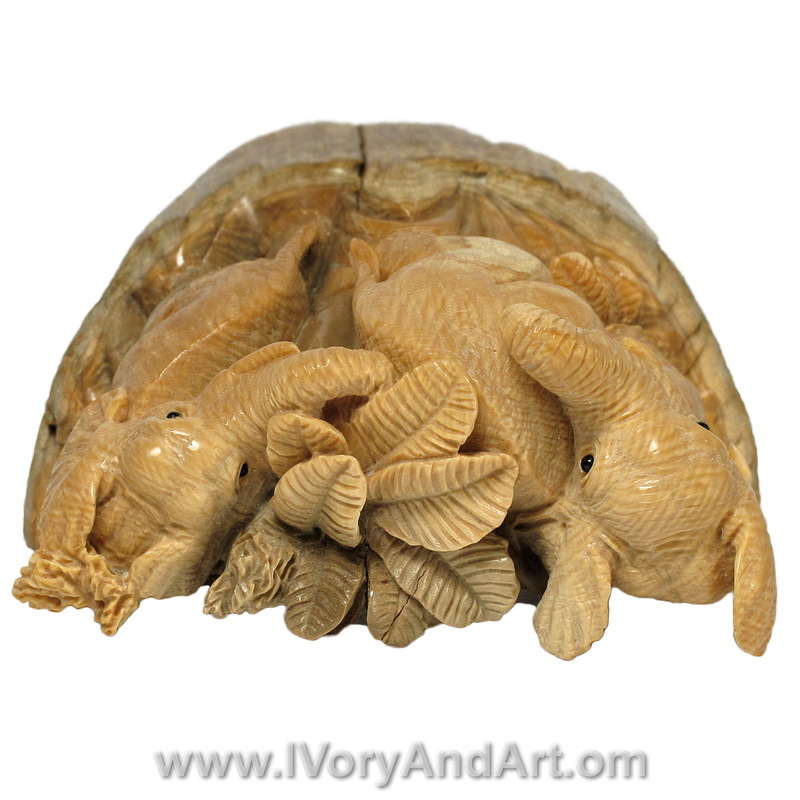 This solid Mammoth tusk sculpture of playful elephants has been carved in details with natural criss-cross pattern emerging as natural elephant skin. 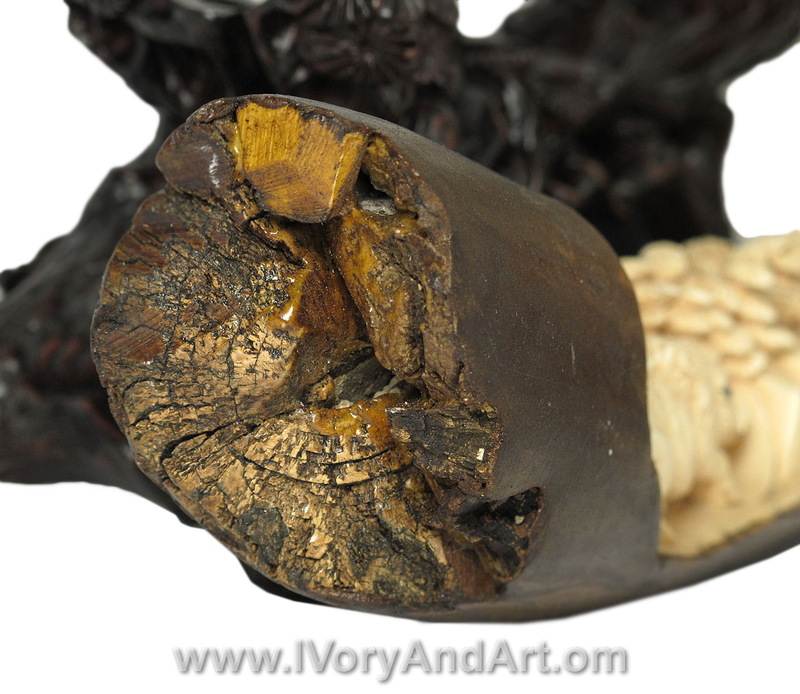 Mammoth tusk tusk laid buried deep under the tundra permafrost and that is why the Mammoth tusk sculpture may have pigmentations and discoloration. 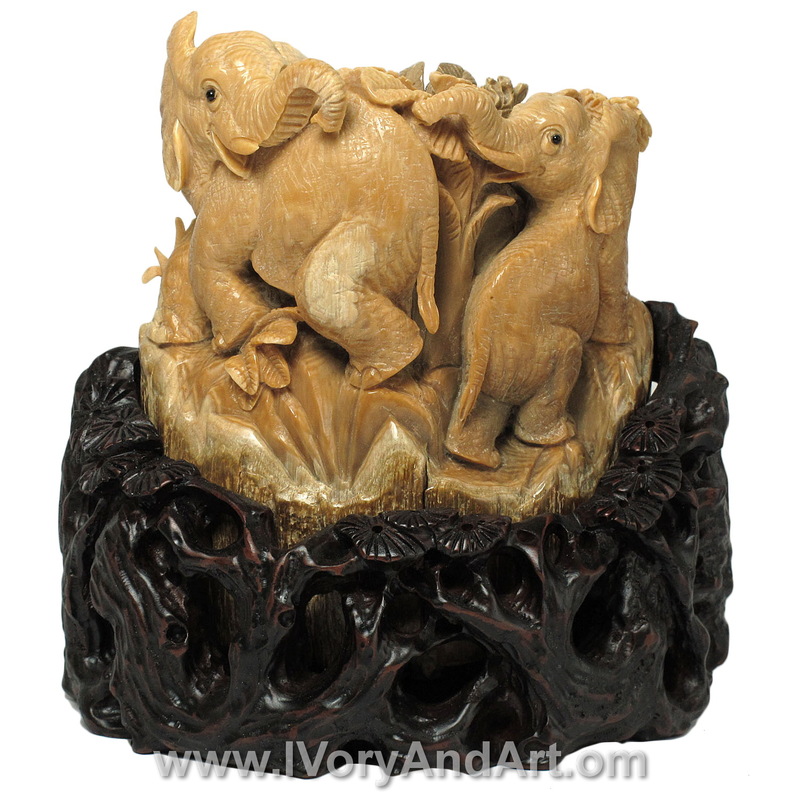 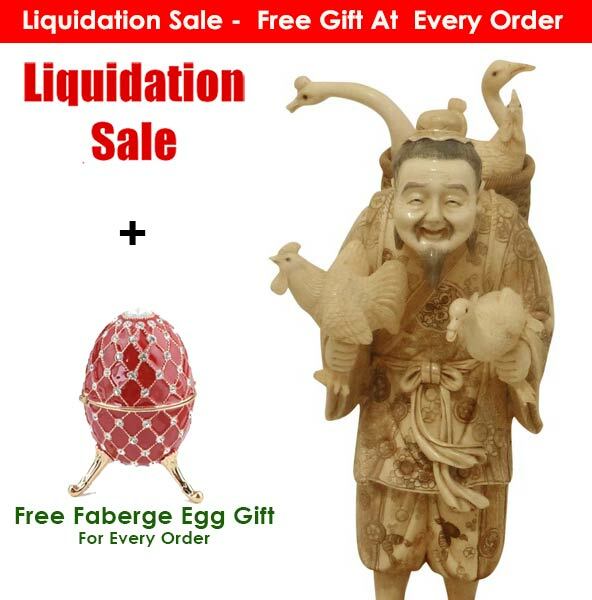 Look at the natural richness of the teakwood and how it accentuates the beauty of rich, genuine Mammoth tusk tusk.